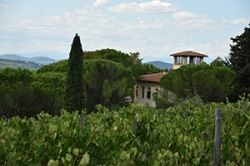 We're going to Italy in June 2020 and we would love for you to join us on this amazing retreat! I've partnered with Phoenix Sagen of MyTravel4Ever to create this amazing retreat for you. We are ecstatic about this Italy trip, and it will be absolutely incredible with you along! We’ve decided to open this trip to women AND men, and we have a special VIP option for women to engage their creativity through travel. Accepting non-refundable deposits ($500 per person). Payment schedule after deposit. Price will increase after September 1, 2019. Additional questions? Connect with Jacki. Invest in YOU and be connected to your passions and who you are at the core! Paid in full option: $3,995 + Airfare.